When I retired from the Army Marksmanship Unit, one of my main goals (besides moving, buying a house, getting the kids settled in a new school, working on the new house, making sure the Wife was happy, starting a new job, etc.) was to, once again, compete as a shooter. My last 13 years at the Army Marksmanship Unit were spent as the head coach. I learned early on that you cannot serve two masters; my coaching duties had priority, so I stopped competing in 2004. When I joined the Berger Bullets team, I was excited to find out that my boss, Eric Stecker, wanted me to shoot again! 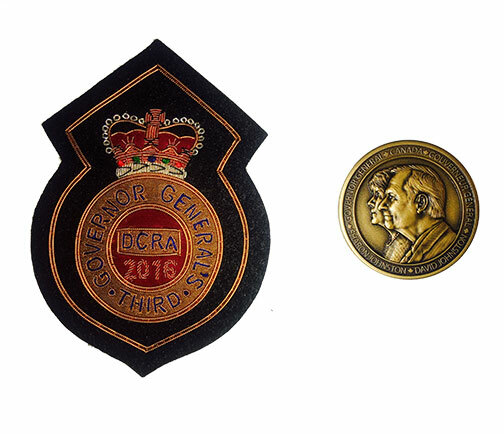 I made plans to compete in the Dominion of Canada Target Rifle Championship (DCRA), held at Connaught Range, near Ottawa. I had a rifle, scope, really all parts of a shooting kit save one item – ammunition. The Army Marksmanship Unit had always provided that. Luckily for me, I had access to what I believe is the most accurate, highest quality commercially available ammunition in the world: Applied Ballistics Munitions Ammunition (Now Berger Ammunition). The team at ABM sent me some of their .308 Winchester, Fullbore Target Rifle Ammunition, topped with the Berger 155.5 Fullbore bullet. My first trip to the range made me a believer. 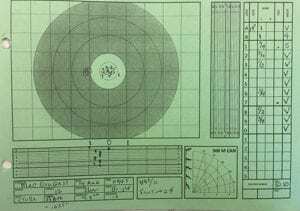 It appeared to be on call at 600 yards, and gave single-digit Standard Deviation numbers when shot across my chronograph. I packed my gear and headed to Connaught. 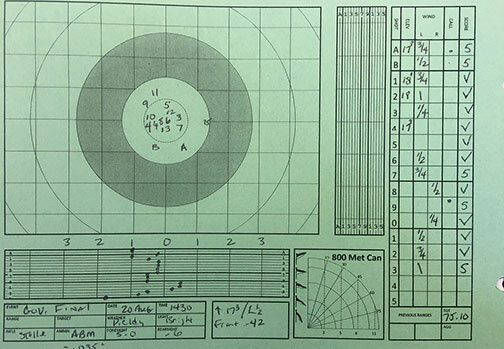 The DCRA matches are among the most competitive and well-run target rifle events in the world. Shooters fire in groups of two or three on one target, alternating shooting and scoring duties. In this system, you fire one shot every two or three minutes. Reading the wind, having a repeatable position and knowing your wind zero become critical skills. Shooters are required to shoot prone, with the aid of a shooting jacket and sling. Their rifles must be chambered for either the .308 Winchester or .223 Remington cartridge, with aperture or “iron” sights. When shooting the .308, the maximum bullet weight you may use is 156 grains. The Grand Aggregate is comprised of a number of matches fired from 300 to 900 meters, but the crown jewel of the matches is the Governor’s General Prize. 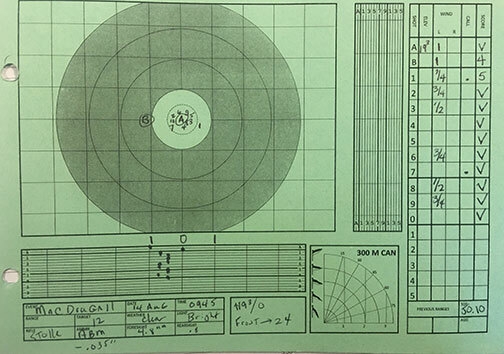 The Governor’s General Final is 15 shots each at 800 and 900 meters, respectively. The top 50 competitors in the qualifying matches are eligible to shoot. I started the matches a bit rough, dropping points here and there as I knocked the rust off of my shooting skills. I did have some moments of success, when I felt that I was executing well and breaking clean, solid shots. 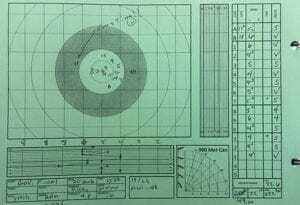 During the 300-meter stage of the Macdougall match, I thought I was finally shooting to the potential of the rifle and the ABM Fullbore Ammunition. It was clear that this was quality ammunition, and if I did my part, the bullets would surely land in the “V”-ring. Even with some basic shooting errors (one of the British shooters, Jon Underwood, called them “schoolboy errors”) I managed to qualify at #26 out of the top 50 competitors. During the 800 meter stage of the Final, the wind speed was an average of 8-9 MPH, with strong gusts up to 12 MPH. The direction, however, was from almost directly behind us. This type of tailwind, especially when it is “fishtailing”, is one of the most difficult to shoot in. Because the wind is at your back, any change in direction or velocity isn’t visible until it is affecting your bullet. There’s no good way to forecast the changes in condition without turning around and looking rearward (very difficult in the prone position). I was fortunate to shoot in conditions that didn’t change drastically, and with the superior ballistics of the Berger 155.5 bullet, I was able to use wind settings that gave me more room for an error in estimating the wind. In long range shooting, you should, when possible, shoot a wind setting that is in the middle (or average) of your total breadth (or “bracket”) of the current condition. 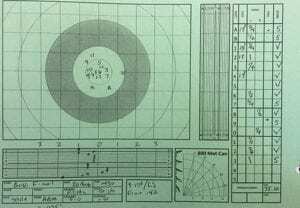 The flat shooting ammunition maximized this effect, and I was able to score a 75-10V out of a possible 75-15V. As we moved back to the 900 meter line, I glanced at the scoreboard and was a bit shocked. I had moved up to #10 in the standings! My 75-10V had been 2nd highest on the range. I found my firing point, and tried to settle the butterflies which had suddenly appeared in my stomach. I was surprised that I was feeling the pressure like a “tyro”, but given my long lay-off from serious competition, it was to be expected I suppose. The wind had grown in strength, and had turned. The 8-13 MPH wind was now blowing from our 7 to 8 o’clock. Where I had shot my first round at 800 meters using only ¾ Minutes of wind, I felt that I now needed a minimum of 5 ½ or 6 Minutes. Again, the rifle and ammunition performed beautifully. I was able to “call” my shots within a few inches at 900 meters, and I seemed have a good idea as to what the wind was doing. Towards the end of my shoot, I fired my 10th shot, looked in the scope and cringed. The wind had increased in strength and as I waited for the target to be scored, I knew it was going to be well downwind. As the target appeared, I saw that it was a downwind “4”, as I expected. My next shot had the reverse effect. The wind had lessened considerably as I was sighting and firing the shot. When I saw the second “4” on the target I chuckled to myself, and realized I had joined the ranks of the groaning and bemused shooters around me. I knew the ammunition had done the job, I just needed to be better (or luckier!). In the end, my 73-6V was 4th at the 900 meter stage, and took me to 3rd overall. I was honored to win the Bronze Medallion, and to shake the hand of the winner, Angus McLeod, after he was chaired off the range by his teammates on the Great Britain Rifle Team. It was clear to me that I could not possibly load better than the ABM Fullbore Ammunition. Indeed, many of my fellow shooters were shocked that I was simply taking rounds out of a box of commercial ammunition, loading and shooting them. I hope to be back in Canada, soon. Next time I’ll try to do my part as well as the team at ABM Ammunition did theirs. Click HERE to see full results from the match.